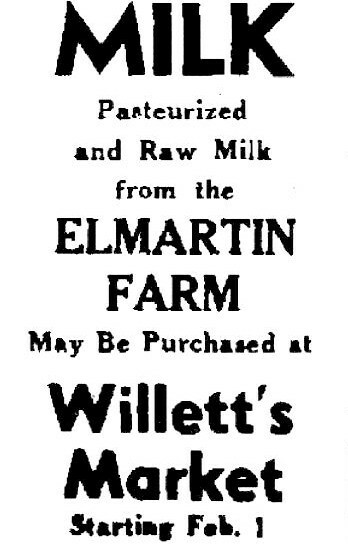 Today, brothers Kim Ivan and Everett Shawn, sons of Gus and Dodi Martin, are the 8th generation of Martins farming in Cheshire, Massachusetts. 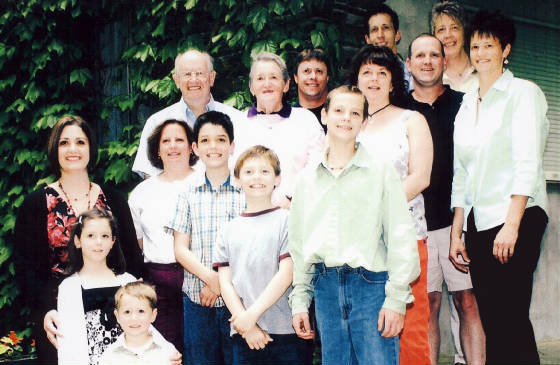 They, too, have children growing up on the farm; Kim's son Bryant, plus Shawn's and wife Stephanie's Dylan, Madelaine, and Jack. Melanie Marie Martin is the Athletic Director for Holyoke High School. She is also a Massage Therapist and teaches at Springfield Technical College. Melanie lives in East Longmeadow, MA where she keeps two Siberian Huskies. Wendy Elaine Warner has a flock of over 60 sheep at a farm next door to Elmartin Farm. She uses Border Collies to move the sheep; and with the dogs she participates in Sheep Dog Trials. Wendy is married to Mark Warner who farms with heifers and hay. They have a teenage son Joshua Martin Warner. they came to Cheshire, MA in 1790. Samuel Martin 1785-1854, married Sally Mason 1784-1842. 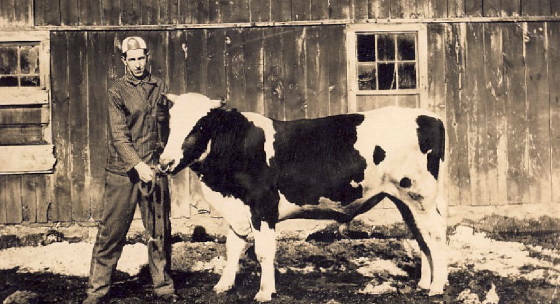 Gus's brother, Fred, kept a herd of Jersey cows next door to Elmartin Farm and worked with Gus for many years in retailing the milk. 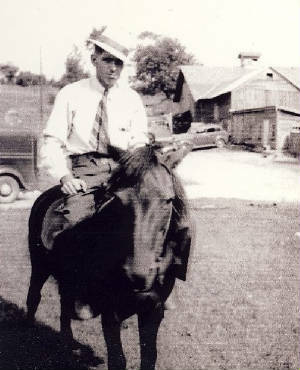 Nancy married Clarence Tucker, Jr. of Lanesborough, MA. 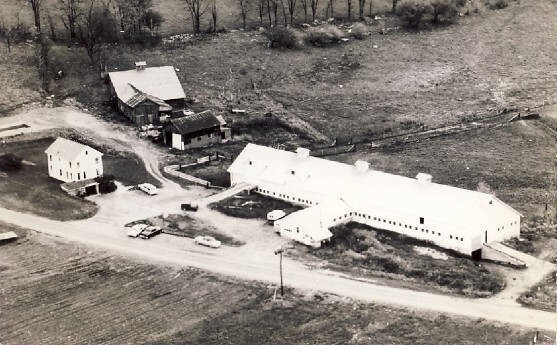 They dairy farmed with Holstein cow herds in several locations in Cheshire, MA and New York State. Carol married D. Kenneth Morrison of Springfield,VT. 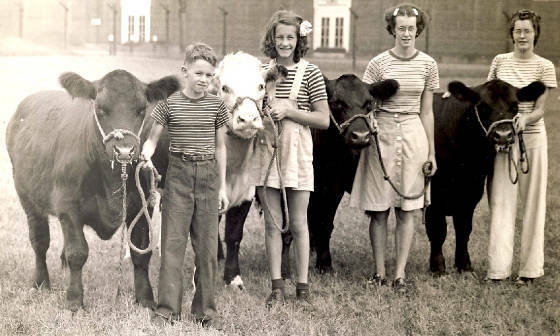 They farmed on the Connecticut River with Jersey cows and chickens. 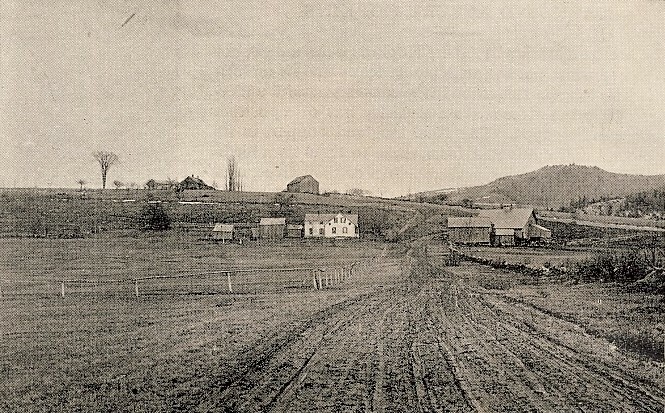 Later, they moved to Salisbury, VT where their family once had a large Jersey herd. 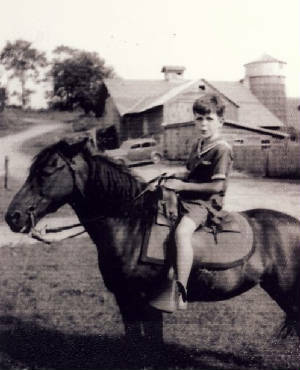 Barbara married Neil G. Fletcher of the Jersey Acres Farm in Lanesborough, MA. 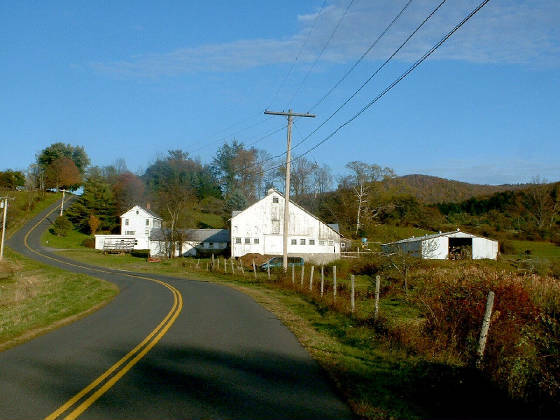 They farmed in West Sockbridge, in Great Neck, Long Island, NY, and later in Sheffield, MA. 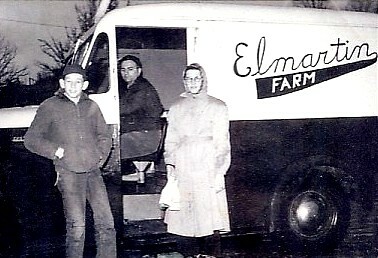 1952: Gus' brother Fred, sister Nancy & Roland King (Stephanie Martin's grandfather) in truck.